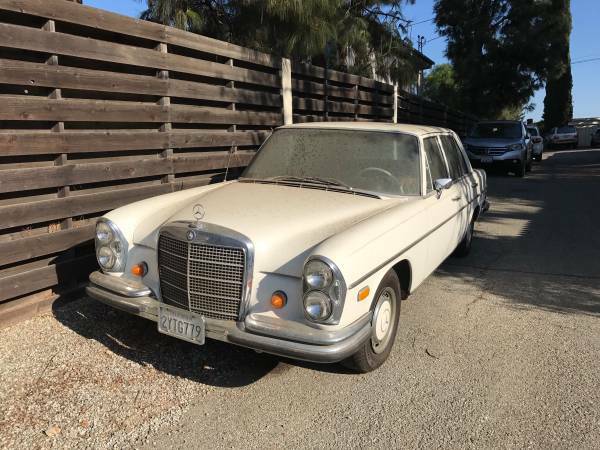 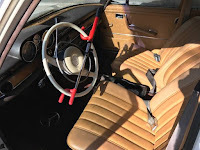 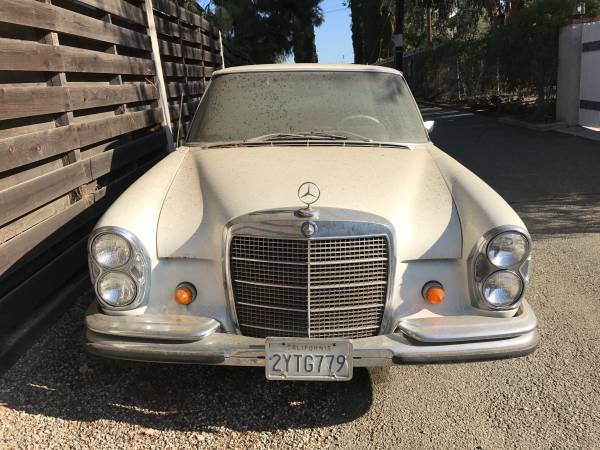 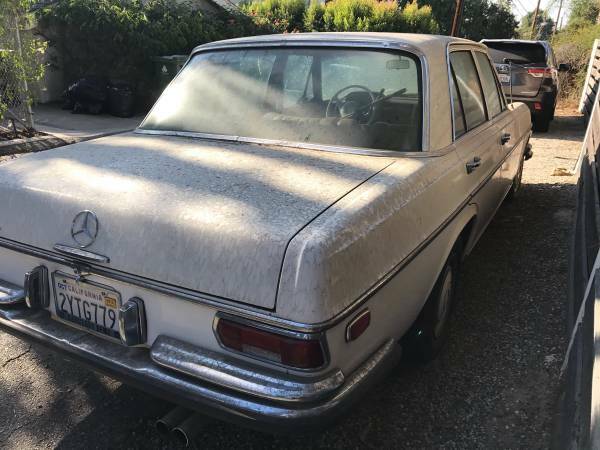 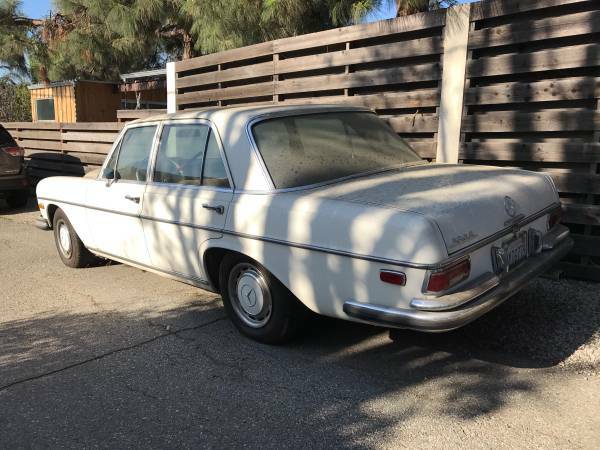 Here's one of the luxury cars was offered by the Germany auto maker Mercedes-Benz on the 60s to 70s era, and this is an early 280S series released in 1968 fairly cool white 4-door sedan and almost half a century was reportedly are still in mint condition overall with low miles on it. 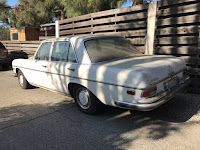 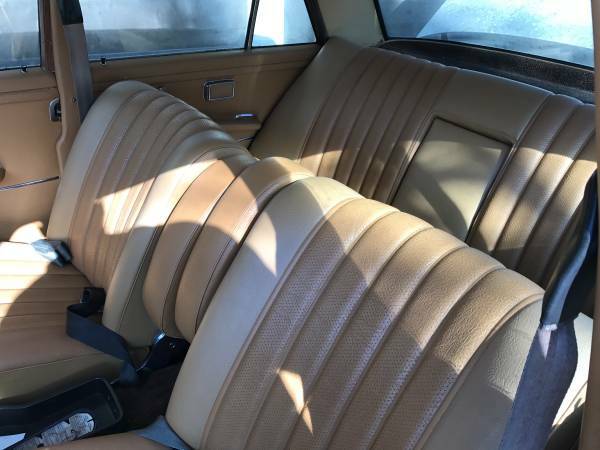 This could be one great potential example of the classic 280S ever seen here at autorestorationice.com, probably a greats dusty car being offered for sale in Craigslist asking $8500 located in LA, California. 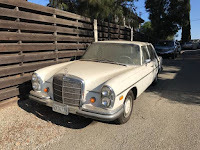 Unfortunately is a minimalist ads less detail and the engine pics not provided, a closer inspection needed for accurately condition. As always come to see is a must to potential buyer.